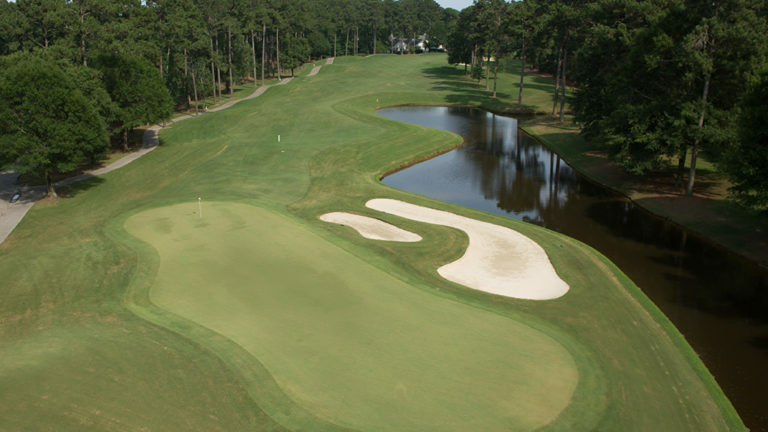 The Waterway is a classic design featuring wide fairways, large greens and elevated tee boxes. 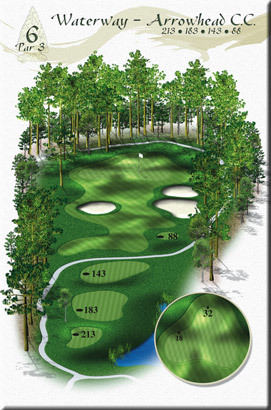 Floyd’s philosophy of giving a visual perspective of how to play each hole is very evident on this nine. 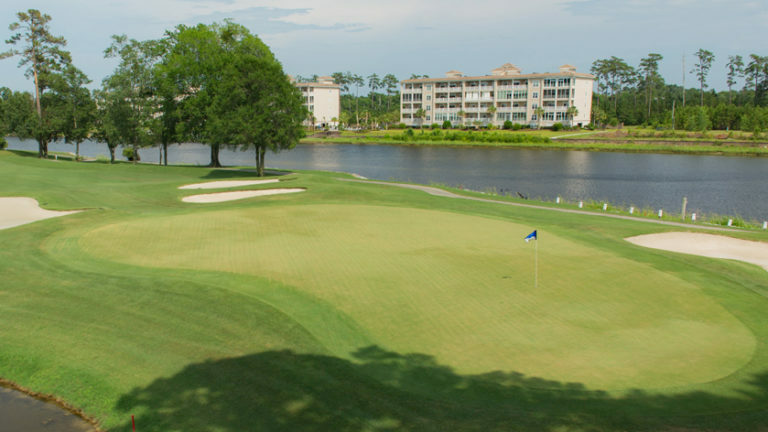 Most notable is the Par 4, 387-yard fifth hole, which borders the scenic Intracoastal Waterway. 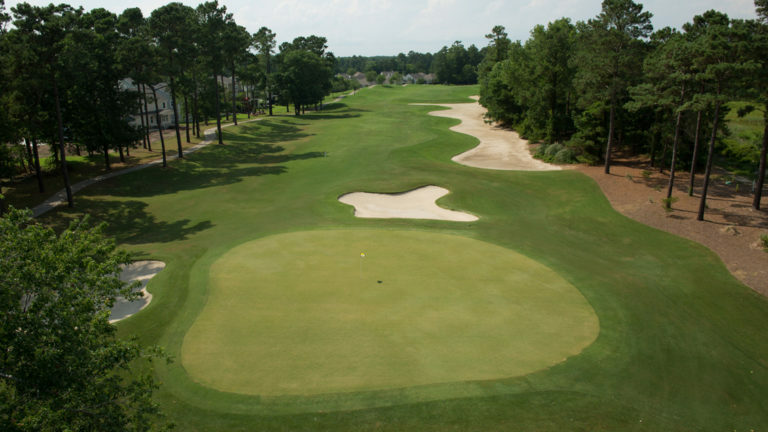 To open The Waterway, a straight and solid drive is needed to avoid the bunkers left, and the mounds right. 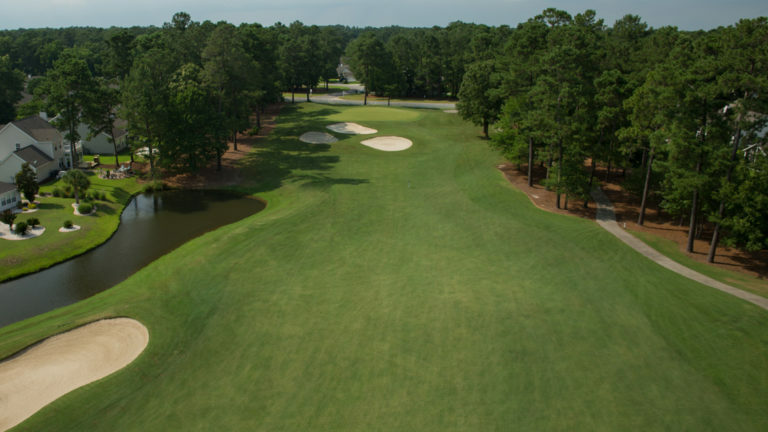 Your drive will funnel to the left with this sloping fairway. 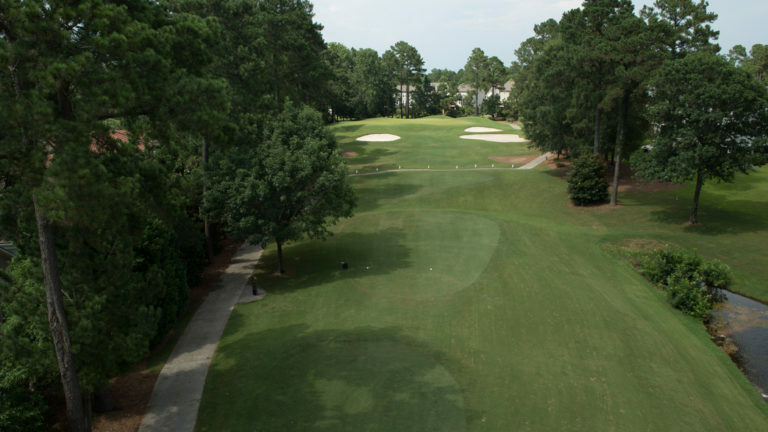 Your approach is slightly uphill with trouble short, so consider taking an extra club. 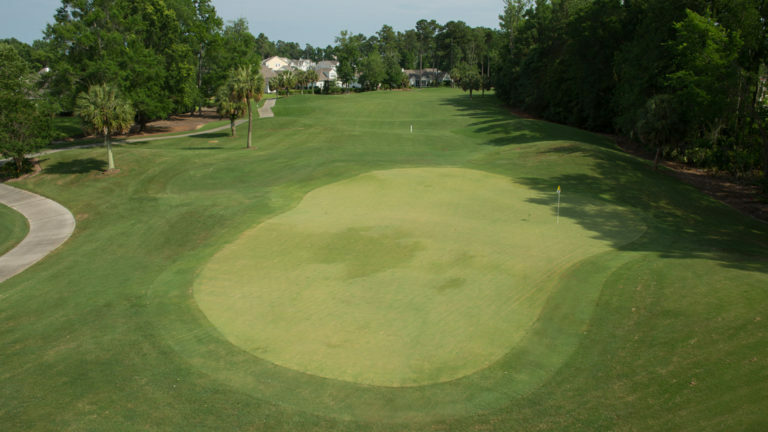 Note: Fairway yardages are from low-point drainage basins unless marked to a bunker or a tree. 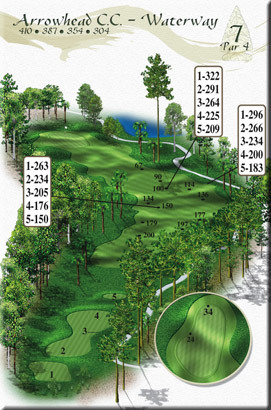 The arcs designate layup or carry yardage from the tee box. 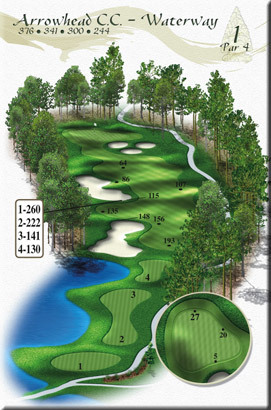 This dogleg right is not long, but it is demanding. 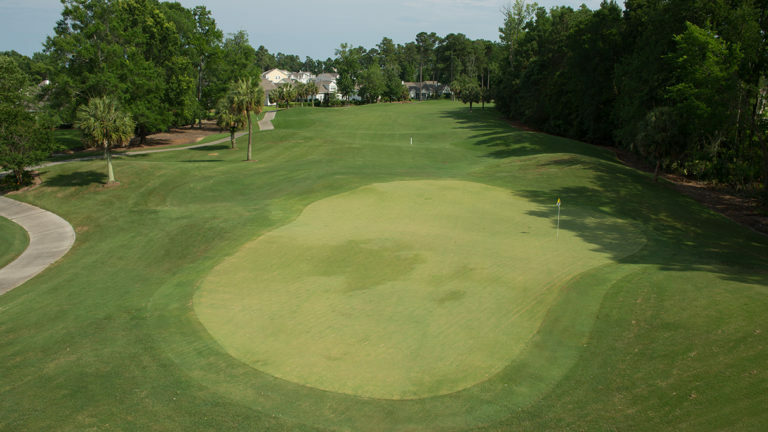 A driver is not always neccessary, but you must reach the dogleg to have a clear shot at the small tabletop green. Missing here will leave a difficult up and down. The obvious trouble is the huge waste bunker, however, mounds and extreme fairway undulation will also determine your score here. 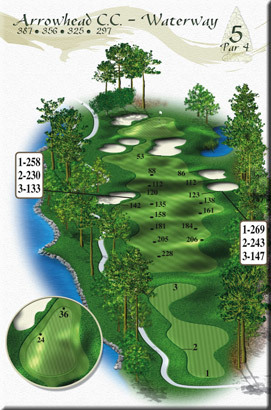 A layup aimed at the back right bunker is advised, but the long hitters can reach in two. 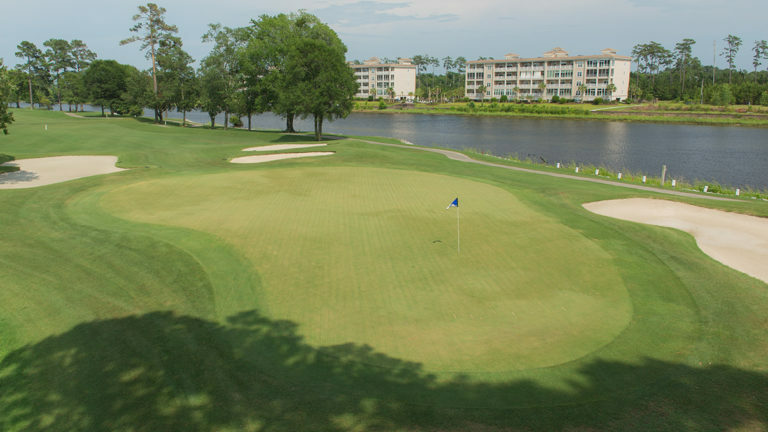 This very memorable par 4 along the Intracoastal Waterway is considered by many to be our signature hole. 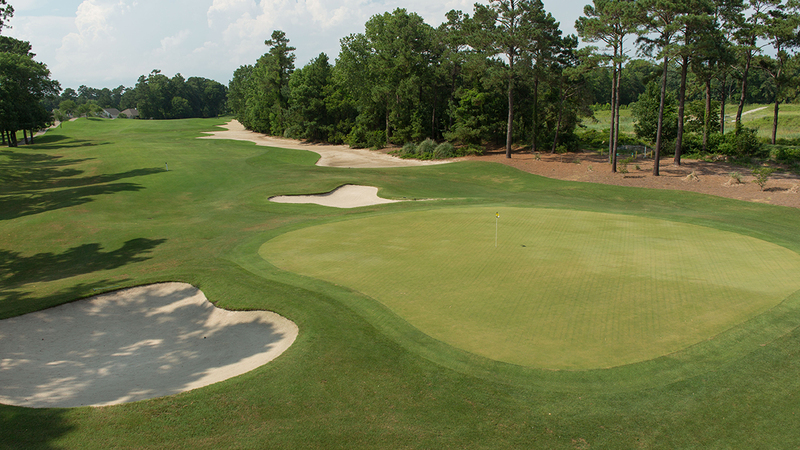 The landing area is wide, but bunkers on both sides of the fairway do come into play. 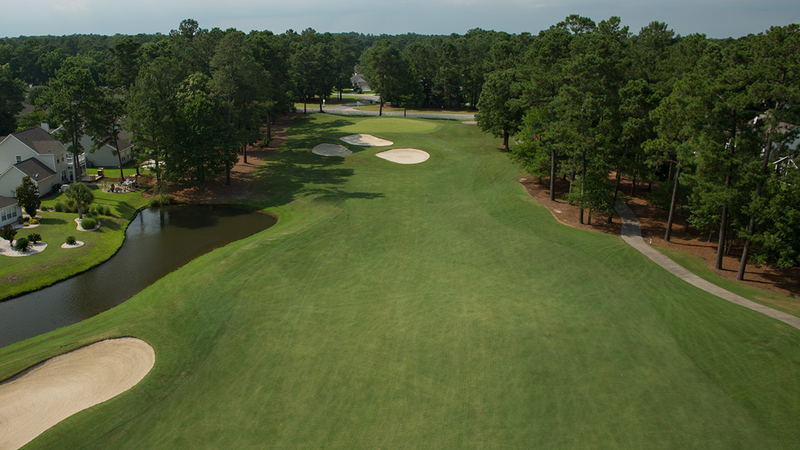 Beware of the pond, it is sometimes unseen from certain parts of the fairway. 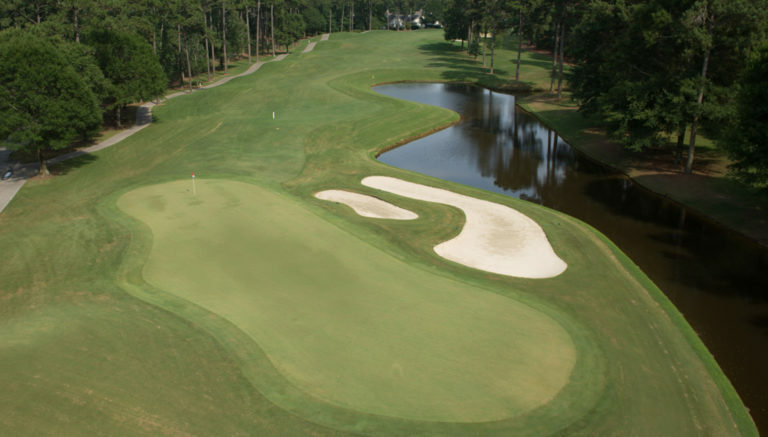 This is perhaps the most difficult green to hit on the entire course and the putt that awaits you will likely have a severe break. 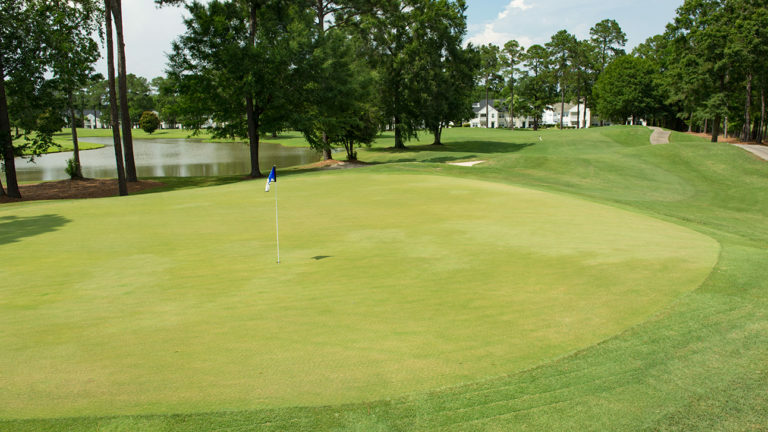 It is crucial to take enough club here as any ball that comes up short will tumble down to the collection area in front of the green. 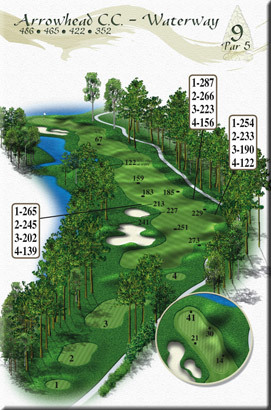 A par here will win this hole more times than not. This hole is a true test! Trees line this gentle dogleg and finding the fairway is a must. Favor the right side as there is more room for error and ‘left’ is marked as a lateral hazard. 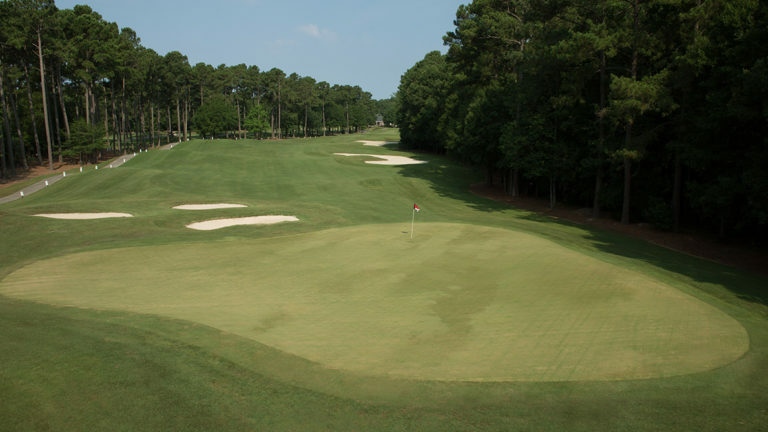 The green has two distinct tiers and being on the wrong one will make two-putting difficult. 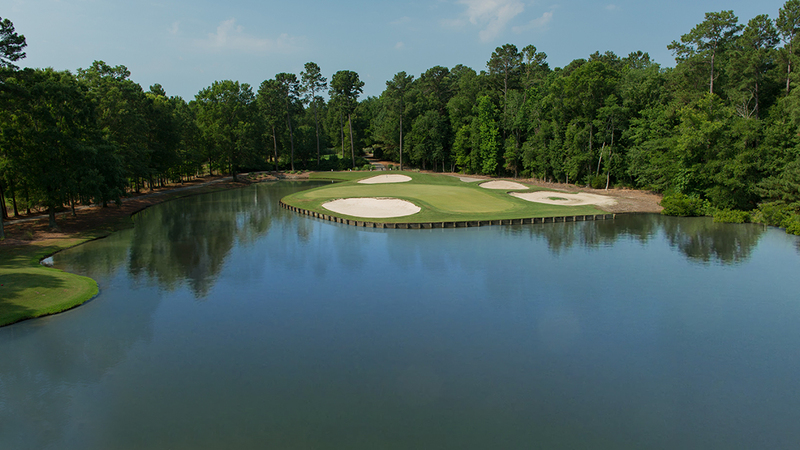 Beware of the pond, it is sometimes unseen from the fairway. 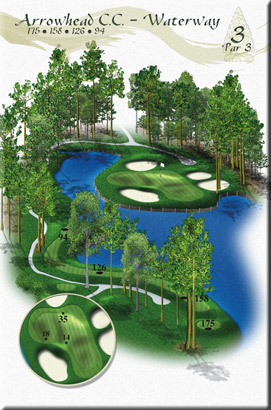 Course management is key on this scenic par 4. 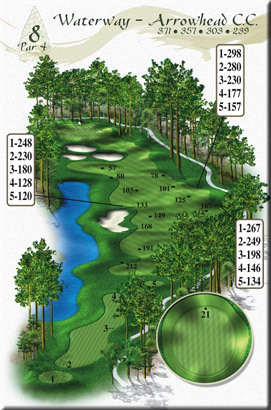 Length is not really an issue, although you can hit it through the fairway under certain conditions. The guarded green sits up on a bit of a crown which makes a lot of good looking shots come up just short. 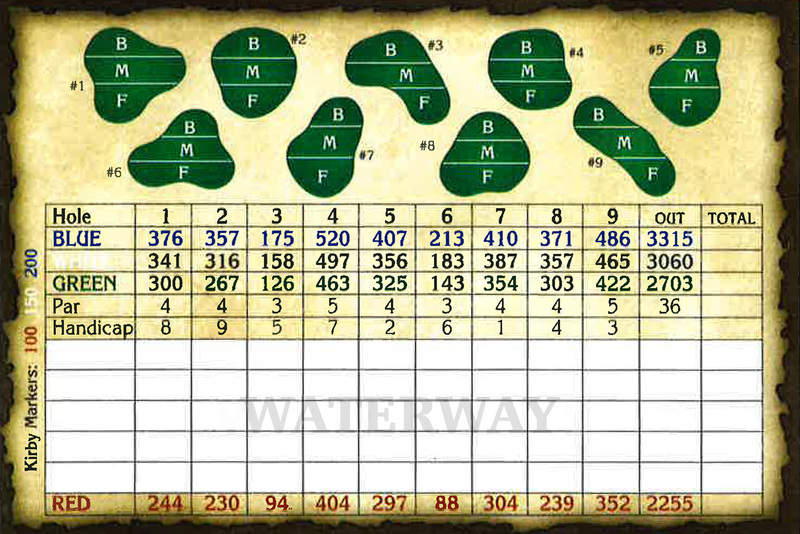 The finishing hole on The Waterway has determined more than a few matches. 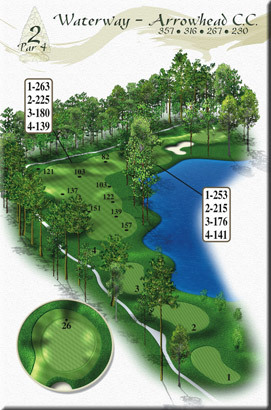 This par 5 is very reachable in two, but the green is complex and very well guarded. 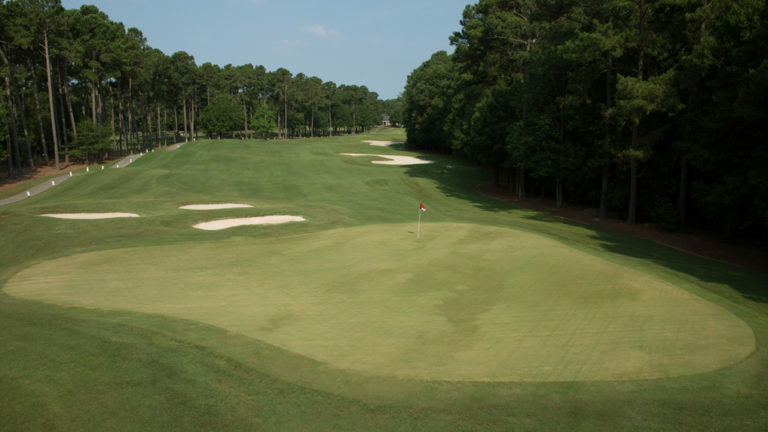 Do not try to fly the fairway bunkers from the tee, it is longer than it looks and can turn this fairly tame par 5 into 7 or 8. 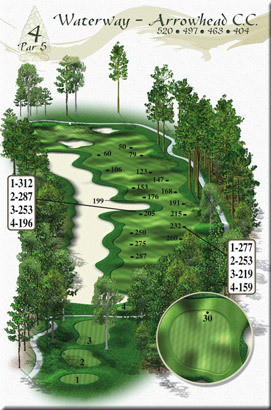 Also check the pin location, the green is well over 100 ft. from back to front.